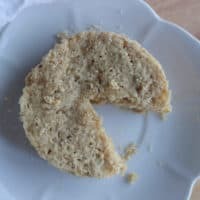 Keto Birthday Cake Cookies are great any day regardless if it is your Birthday or not. 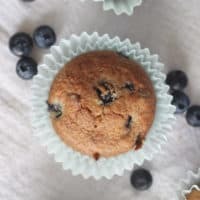 Because these keto Cookies clock in at .4 carbs per cookie, you can make them everyday. 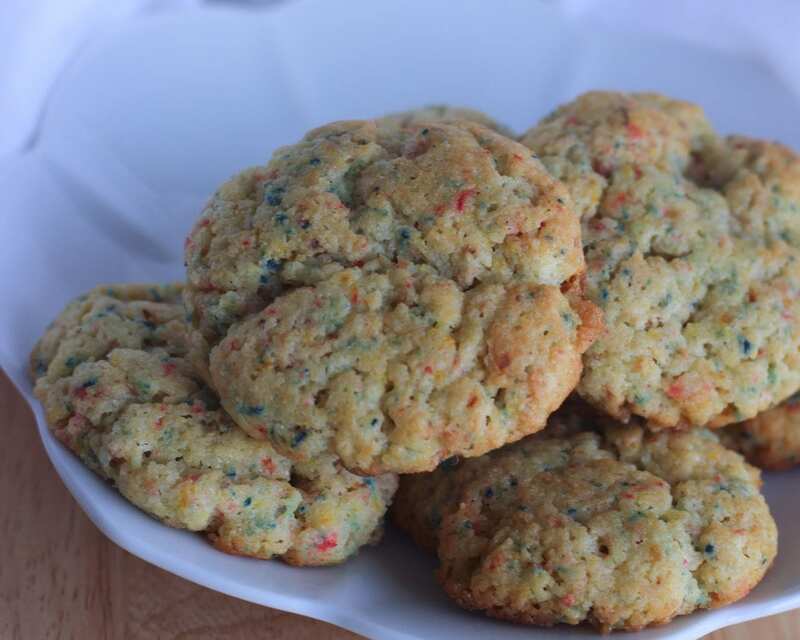 These Birthday Cake cookies are surprisingly healthy. 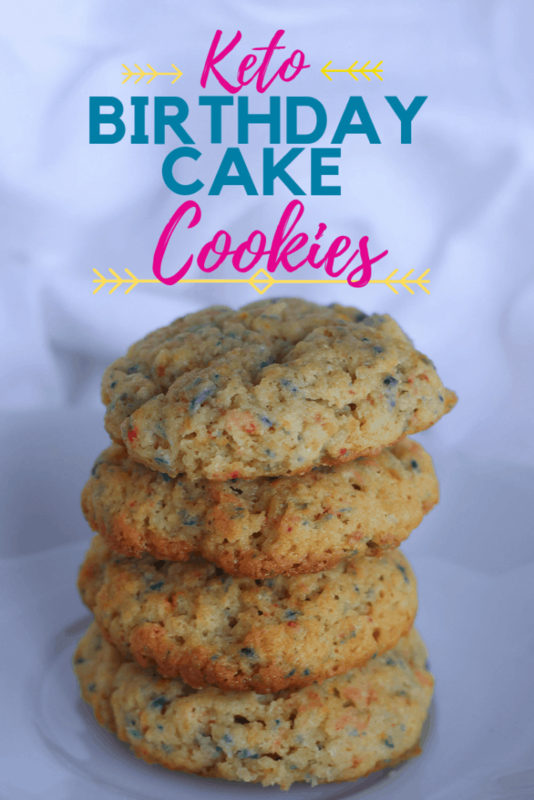 Each cookie contains a fair amount of fat and for this reason these Birthday Cake Cookies are perfect for your Keto diet. Birthday Cake flavor is my all time favorite flavor because my birthday is a sacred day. 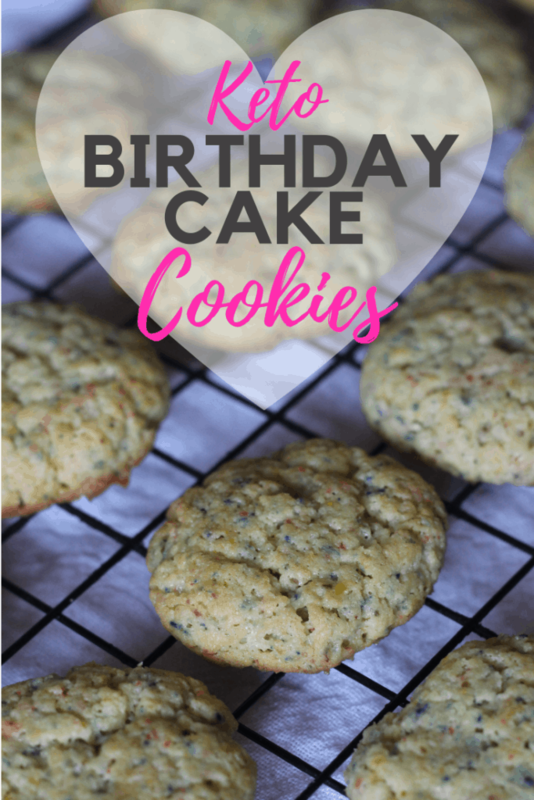 I celebrate my birthday all week and now that I have this birthday cake cookie recipe I can have a few every day keeping to my low carb diet. 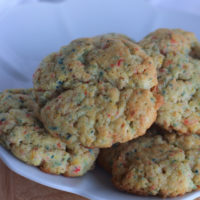 The key ingredients in these Birthday Cake Cookies are gelatin coupled with a great Birthday Cake flavored protein powder. This protein powder is great on its own due to its delicious birthday cake flavor and the low carb count. 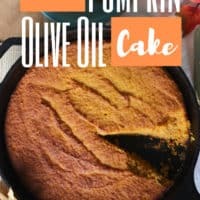 (1 carb per scoop!) Birthday Cake protein powder is the only protein powder that I have found that has MCT powder built in. EXCLUSIVE! 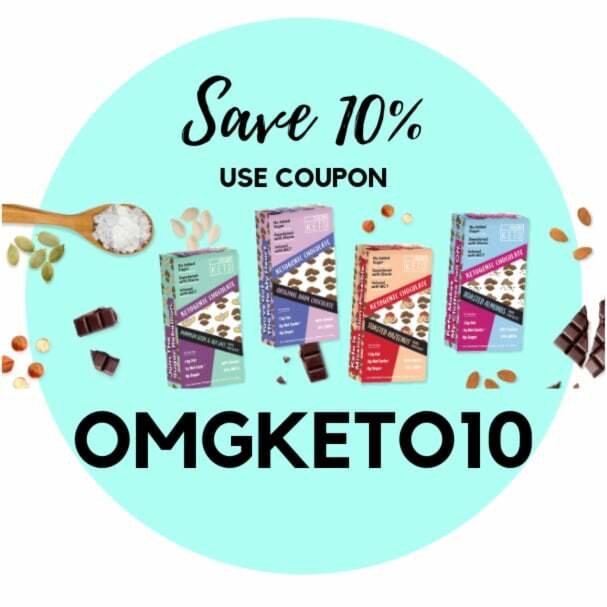 Readers of Omg Keto Yum get 10% using coupon code OMGKETO10 at the checkout, in other words, buy this now, and then make the cookies! 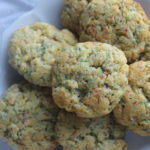 These Birthday Cake Cookies are a copycat of the traditional Funfetti cake mix that we all grew up on due to the rainbow sprinkles. The Funfetti cake clocks in at 34 grams of sugar per slice, this is more than my daily carb intake in one day! 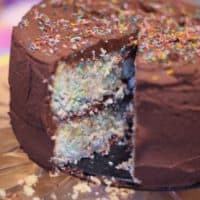 When I was a kid I was able to down half a funfetti cake in one setting, unbelievable! 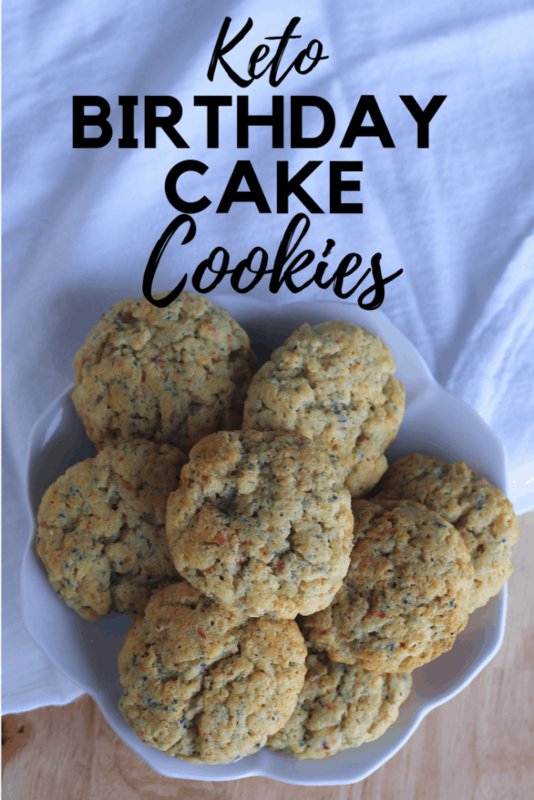 It may or may not be your Birthday but you can still make these low carb Keto Birthday Cake cookies and enjoy them everyday if you want to. 6 TBS Butter Flavored Coconut Oil (90g) You can substitute Butter as well. 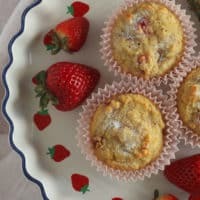 Preheat the oven to 350 degrees and place a silpat or parchment paper on a cookie sheet. Make sure the butter flavored coconut oil or butter is softened and place it the bowl. Add the Erythritol and “cream” it together using the hand mixer. Add the Vanilla, and eggs to the mixture and combine using the hand mixer. Add the Coconut Flour, Gelatin, Xanthuim Gum, Rainbow Sprinkles and protein powder and combine using the hand mixer. The cookie dough should resemble play dough. If the dough is not thick enough try sprinkling a bit more coconut flour over the dough and then let it rest until thickened. Roll the Cookie dough into small balls. Place each ball on the cookie sheet and squish them slightly on to the cookie sheet. Bake the cookies for 13-15 minutes or until the top appears dry and the bottom of the cookies are browned slightly. Let the cookies chill before trying. They are 100 percent yummier when they are cooled. If you can’t eat, place one in the freezer for 5 minutes and then taste it. Share with your friends regardless if it is their birthday or not! Share these cookies with your family on their special day’s and on social media. 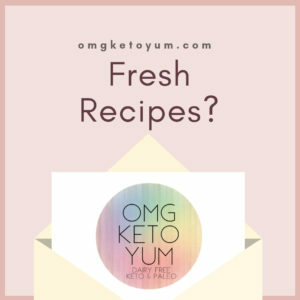 If you make them comment below and tell me what you thought of the Keto Birthday Cake Cookies! Hi Becky, just put together a batch of your birthday cake cookies and I didn’t see where to add the Stevia drops?? Oh no! Help please!! LOL..